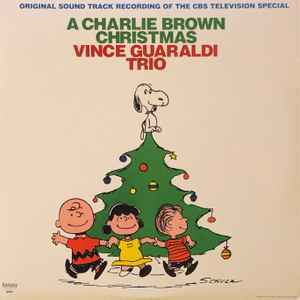 I was pleasantly surprised by the copy of A Charlie Brown Christmas (F-8431) that arrived this week. Although there were more more minute pops and tiny clicks here and there than you'd find on most newly opened vintage records, the majority of the record is as close to audio perfection as possible, and far superior to most reissues I have tried to date. Remastered, in this case, must really mean remastered with all the tiny issues undoubtedly stemming from the pressing itself, not the source material. My only bone to pick is since this is on the same label as the original (Fantasy), using the same label design (black ink on a white background) would have been much more satisfying than gold on blue, and would have looked better (and more Christmas-y) paired with the green vinyl.